Narendra Prasad was a popular Indian movie actor, playwright, film actor, teacher and literary critic. He hails from the state of Kerala, South India. He has acted in numerous popular hit movies in Malayalam. He began his career as a stage actor at a young age and soon entered the film world. Narendraprasad took up teaching profession early and worked in Bishop Moore College, NSS College Pandalam and at the University College in Trivandrum. In 1989, he was appointed Director of the MG University School of Letters which he held till the end of his days. His love of theatre prompted the creation of "Natyagriham", a drama troupe, which organised several dramas, including Bhavu Thugam Marunnu, Nishedikalae Manisilakku, Adunikathintae Madyanu, Ente Sahitya Nirupanagal , and Jadi Paranjal Enthe. He won the Sangeetha Nataka and Sahitya Akademi awards for his contributions to drama. He got noticed following with the hit film Thalasthanam. 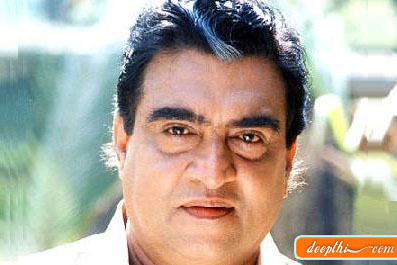 He has worked in several memorable movies with director Shaji Kailas and script writer Ranji Panikkar. Some of the noteworthy films are: Sthalathe Pradhana Payyanns, Ekalavyan, Yadavam, Ulsava Melam, Aram Thampooran, Ustaad, Vazhunnor, Krishnaguddiyile Oru Pranayagatha and Susanna. He acted in over 150 films. Towards the second half of the nineties he ventured into television. Shayama Prasad's tele-film Perupazhyile Kariyilakayal , was Prasad's first venture on the small screen.